Varèse Sarabande release of Jonathan Elias’ score to the 1986 cult comedy-horror Vamp. This is the original 1986 release on LP. The only other LP release of this score was via the Colosseum Schallplatten label in Germany in 1987. 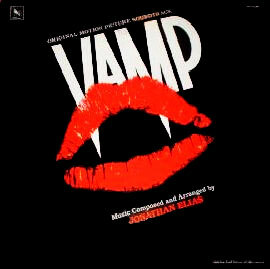 The Vamp soundtrack features an abstract electronic score composed and arranged by Jonathan Elias.